www.mathswhizz.com —please make sure you play for at least half an hour every week. www.iwm.org.uk - ‘Make, mend or spend?’ game. www.nationalarchives.gov.uk - answer questions to help a family build an Anderson shelter or evacuees to escape the bombing. 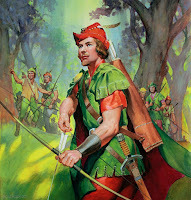 English legends — the story of Robin Hood. French – themes covered will be parts of the body, sports and clothes. ICT — web-based research, desktop publishing and simple databases. Continuing our fascinating topic from Term 1. 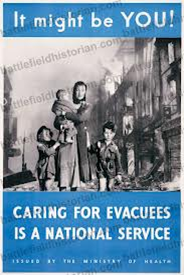 Our focus will be moving to the Home Front during World War 2: ‘Make Do and Mend’ life for evacuees; rationing; air raids, culminating with a brief look at life for German children under the Nazis. If you have any interesting family stories to share, please do some research and bring them in to school. In all units, we will concentrate first on practising the skills, secondly on applying them to problem solving, then move on to investigative work. Preparing for Remembrance Day —looking at the symbolism of poppies. Using lyrics to evoke different moods, by studying diverse genres such as ballads and blues. The children will listen to a variety of songs and discuss their meaning and also create their own lyrics to suit the mood they are trying to create. Sketching portraits of evacuees using pencils and charcoals; building and furnishing a model of an Anderson shelter. 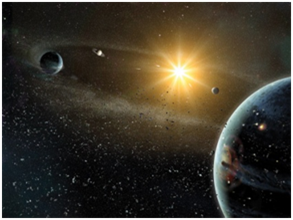 · the difference between a planet and a star. · about the orbit of the Moon around the Earth and the Earth around the Sun. · Why we have day and night, the seasons, leap years, tides and eclipses. We will be continuing our focus on invasion games at Garsington Rec. with the Year 5 children. Again, the emphasis will be on the skills development for each of the sports we cover. A trained coach will also be working with us. Please note, warm clothing will be needed every Thursday as the activities will be outdoors. Understanding different types of friendship; prejudice, seeing things from another’s perspective; understanding how it must feel to be excluded or treated badly because of being treated differently in some way.